By request, here’s the table of contents for the essays you will find in The American Mind Meets the Mind of Christ. The book costs $14.99 and may be purchased at the Concordia Seminary bookstore, amazon.com, and by contacting Theological Research and Publication at sempress@csl.edu or 314-505-7117. 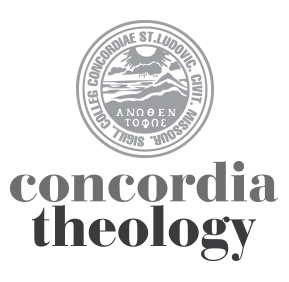 Purchases of two or more copies directly from Concordia Seminary Press include free shipping. Individualism, Indulgence and the Mind of Christ: Making Room for the Neighbor and the Father . . . Leopoldo A. Sánchez M.
Thanks for posting this information. I read the Table of Contents. I was, quite frankly, fearful of seeing some blatant right-wing political expression wrapped in the mantle of theology. I see no right-wing politics here so I will go ahead and buy the book. The lack of “blatant right-wing political expression” is quite intentional, I think! In fact, I hope that our faculty might in the future collaborate to offer some fresh and serious theological reflection in the areas of political and economic life. But that is probably another book! In the meantime, I hope you enjoy the book and find it helpful.